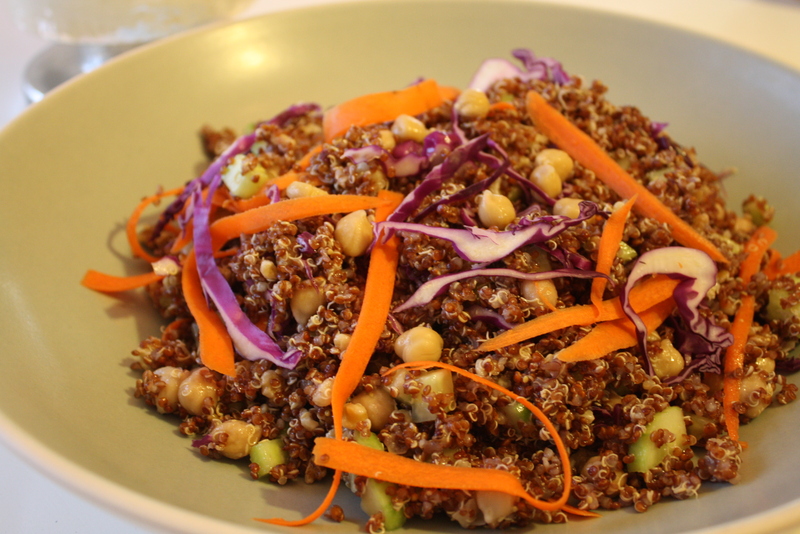 Quinoa is a complex, gluten-free carb with fertility-boosting folic acid, fiber, and zinc. 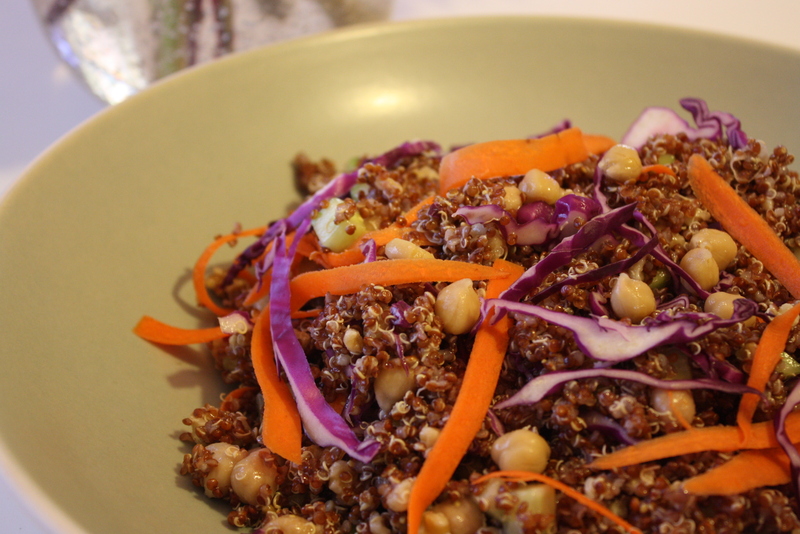 The complex carbohydrates found in quinoa keep the blood sugar level stable and help regulate your ovulation. I love the crunch of the red cabbage in this salad, and the lemon garlic dressing adds a nice flavor. This is one of my husband’s favorite dishes! 2. While quinoa is cooking, start preparing the salad toppings. Rinse chickpeas and set aside. Peel skin of carrots and discard. Continue peeling carrots as in the photo below and save. Dice cucumbers, and thinly slice the red cabbage. 3. 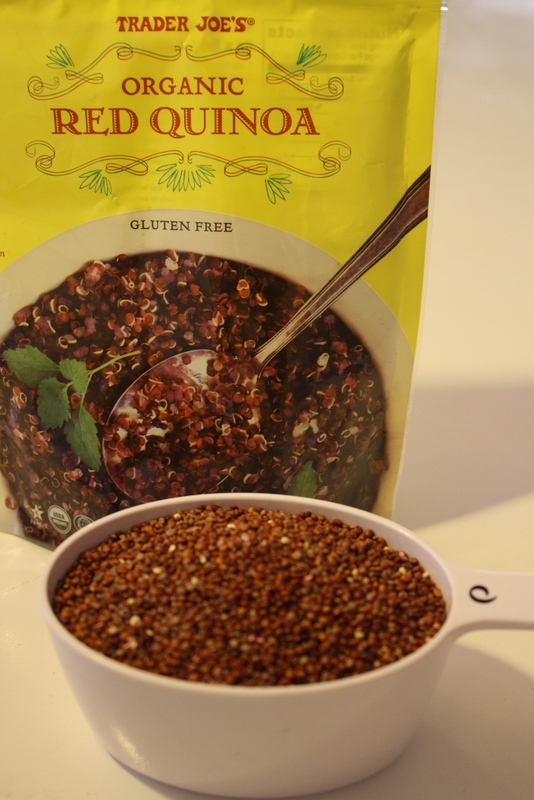 When quinoa is done cooking, put into a large bowl and allow to cool, approximately 20 minutes (every few minutes mix quinoa with a spoon to let out steam). 4. 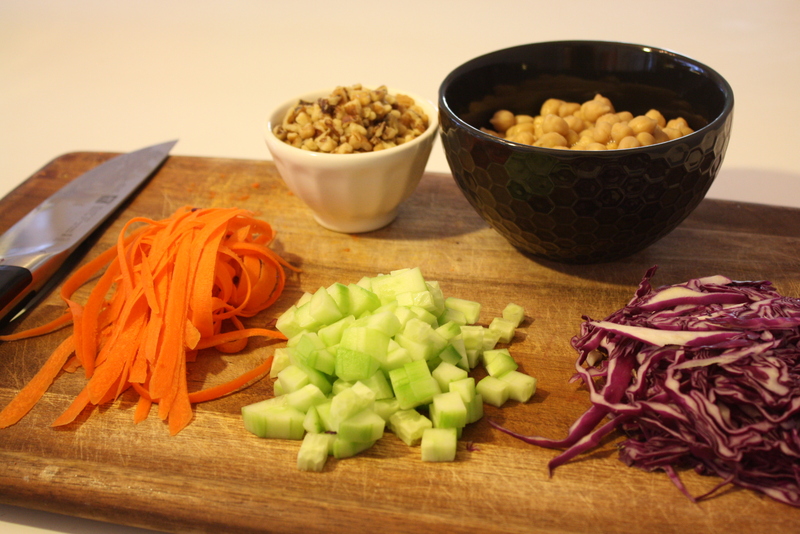 Mix in Add chickpeas, walnuts, cucumber, red cabbage, and carrots. 5. 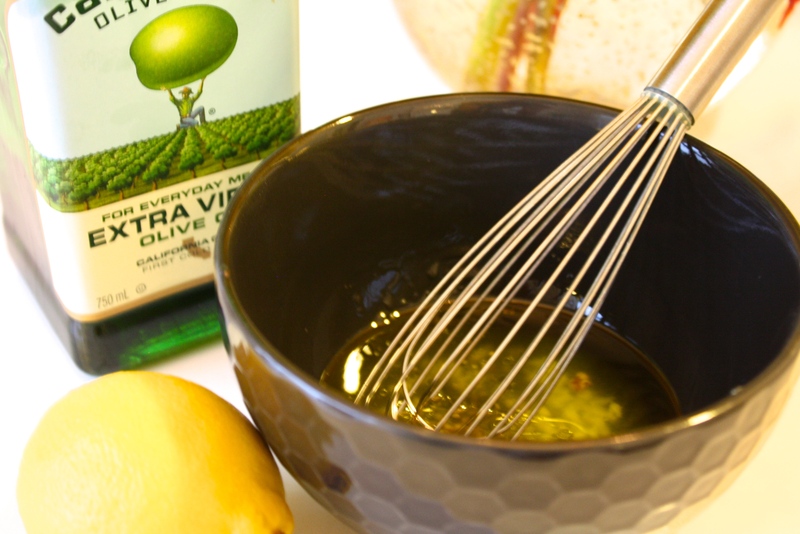 To make the dressing, combine olive oil and lemon juice. Mince garlic and shallots and add along with the agave and dijon. Whisk until thoroughly mixed. 6. 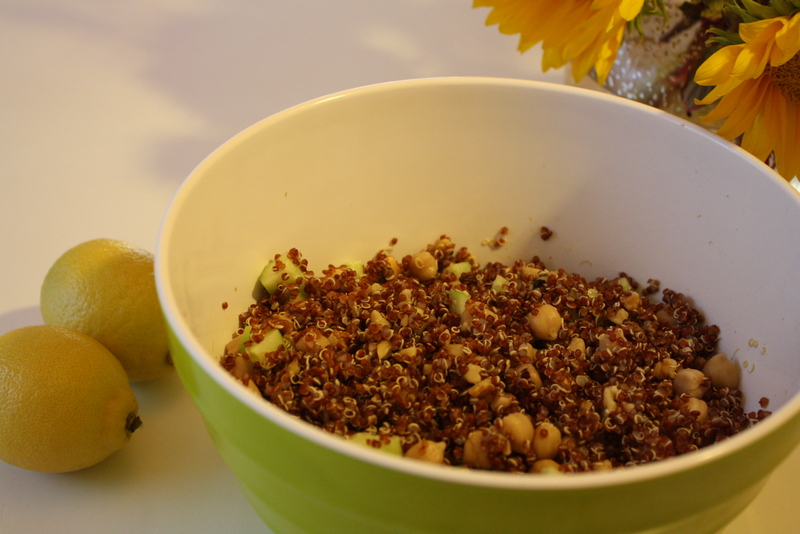 Add dressing to quinoa, mix well and enjoy!